Dr. Honore’ has been committed to promoting dental health and creating beautiful smiles to his patients for the past 16 years. Dr. Honore’ loves developing long-lasting relationships with patients and changing their smiles to improve their self-confidence and quality of life. Dr. Honore’ earned a Bachelor of Science degree From Old Dominion University in Norfolk, Virginia. He subsequently received his D.D.S. from the Medical College of Virginia in Richmond, Virginia. To remain familiar with the latest technology and other developments in dentistry, Dr. Honore’ regularly attends dental seminars and continuing education courses. He also visits local schools, where he enjoys speaking to children of all ages about the importance of taking care of their teeth. Outside of the office Dr. Honore’ enjoys spending time with his wife and 3 sons. He enjoys golfing, reading and skiing. As the team leader I am the first person to greet you when you enter the office of Dr. Honore’. Our team at Dr. Honore’s is made up of a caring staff dedicated to patient service and providing the best quality dental treatment. On a daily basis I assist patients with completing paper work, discuss financial options, scheduling treatment care follow up and recall. I love being a part of the experience and the joy we bring to the faces of our patients, who are, to no surprise like family. In my spare time I enjoy spending time with my husband and 3 sons, plus gardening, reading, and decorating. I have been a part of the Dr. Honore’ team as a Dental Assistant since 2009. I began my dental training at Alleghany College in 1992. I have worked for several Dentists and Oral Surgeons in Maryland and Virginia. I also have had the experience of working in the base hospital in Sigonella Sicily. I am very knowledgeable in the dental field and put a great emphasis on Patient education. I am very caring and have a way of making the most apprehensive Child or Adult feel at ease. In my spare time I enjoy spending time with my fiancee, daughter, son and grandson, plus garden, surf, cook and write. As a Dental Assistant for Dr. Honore’ I help our patients remain informed and comfortable during their dental care. I hold a license in radiography and pursue continual education in the dental field. I appreciate our office’s warm and caring atmosphere. I enjoy providing our patients with a comfortable experience and the satisfaction of knowing they are receiving top-notch dental care. In my spare time I enjoy spending time with my husband and two children, plus soccer, swimming and exercise. 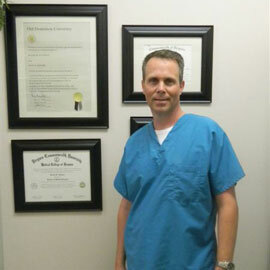 I joined Dr. Honore’ and his team in 2007 with almost 20 years of experience in the dental field. Raised in Maryland, I attended the local community college earning my associates of Arts degree. After completing my degree I moved on to the University of Maryland at Baltimore where I earned my Bachelors of Science in Dental Hygiene degree. I am happy to serve in an office that provides excellent dentistry and beautiful smiles. I also love the chance to meet new patients and help them improve their oral health. When not at work I really enjoy fishing and traveling with my husband and 2 sons. I also like to spend my free time volunteering with the PTA and wrestling club, going to movies, the beach and riding roller coasters!